Welcome to 2019 and in traditional style WNO is welcoming in the new year with our A Night in Viennaconcerts throughout Wales. The WNO Orchestra will have visited Swansea, Newtown, Bangor, Cardiff, St Davids and Newport before January draws to an end. The first concerts have already brought a taste of Vienna to Swansea and Newtown, with their mix of music from the Strauss family, Lehár, Mozart, Weber and Kreisler. Encompassing two centuries of elegant waltzes, playful polkas and songs evoking glittering Vienna ballrooms, all rounded off with the obligatory Blue Danube waltz bringing the evenings to a close. We bring our Viennese concert to St Davids Cathedral for the first time this year, following the Orchestra’s regular performances there as part of the Fishguard Festival and we’re looking forward to introducing the West Wales audience to our interpretation of these traditional festive pieces of music. Led by our Orchestra Leader and Concertmaster, David Adams, from the violin and with WNO’s new Associate Artist Harriet Eyley bringing song to the concerts for the first time this year as soprano soloist on Mozart’s Bester Jüngling, Lehár’s Meine Lippen, sie küssen so heiss and Vilja Lied, and Strauss’s Laughing Song from Die Fledermaus. 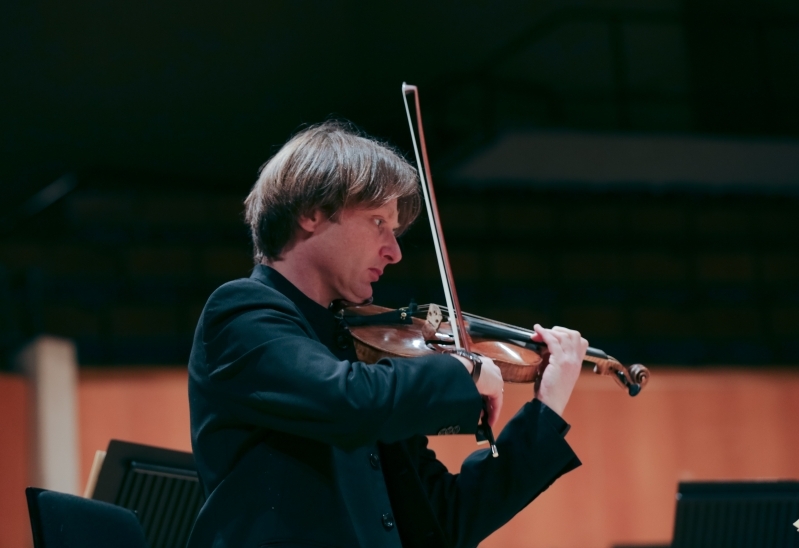 David also performs as soloist in Fritz Kreisler’s three short works for violin, Liebesfreud, Liebeslied and Schön Rosmarin which are collectively known as the Alt-Wiener Tanzweisen (Old Viennese Dance Tunes). So join us and raise a glass to the start of the new year with a foot-tapping whirl through Vienna.